Veterinary technician Carrie Kennersly has become known for offering healthy dog treats at the clinic where she works. So when the owner of the local bakery moves away, Carrie jumps at the chance to buy the business and convert half of it into the Barkery, a shop where she can make and sell her canine delights. Linda O. Johnston (Los Angeles, CA) has published over forty romance and mystery novels, including the Pet Rescue Mystery series and the Pet-Sitter Mystery series for Berkley Prime Crime. 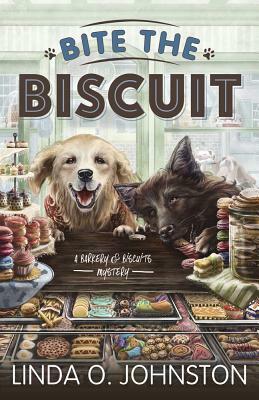 She also writes the Barkery & Biscuits Mystery series for Midnight Ink.